The launch of the fourth annual Meath Business and Tourism Awards 2013 took place on Thursday the 19th of September in the Pillo Hotel in Ashbourne, Co Meath, Ireland. The aim of the awards is to highlight and emphasise the successes of local Meath companies. It is organised annually by the Meath Chronicle in partnership with Meath County Council and Meath Tourism. 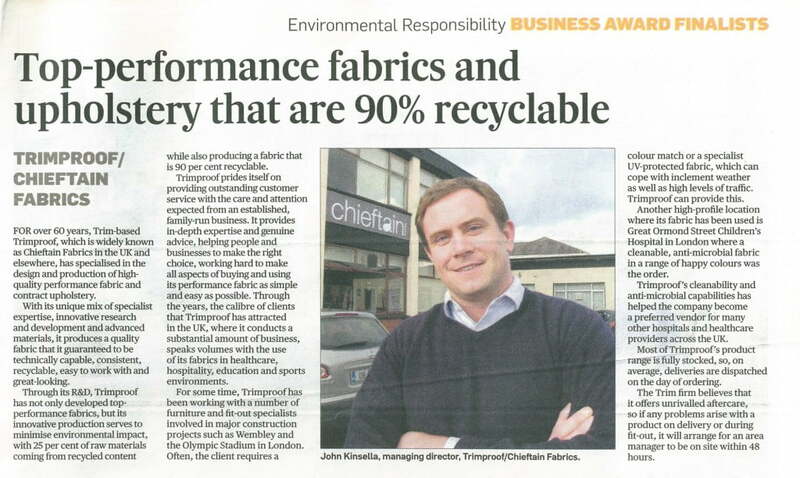 Chieftain Fabrics have been entered into the awards for an “Environmental Responsibility” Award.